Mahindra recently launched its brand new Mahindra XUV 500 in the month of October last year. Since the day of its launch this car has been getting great amount of response from the customer. The condition was such the company had shutdown the bookings for a little while as the company couldn’t cope with such high demands of this product. This car has recorded around 8000 booking within a week from the day of its launch and the company was not prepared for such a response from the customers. This sudden high requirement by the customer has left a the company short of the available number and it is time that they plan to increase the number of units being produced as the demand for this vehicle is now increasing day by day. Mahindra Mahindra XUV 500 pictures India is really working hard to pump up the production of XUV 500 as the company plans to resume the booking of this compact SUV from the month of January 2012. The company has a well established setup in Chakan plant near Pune where the production of this car was taking place. It is expected that the company is working hard to increase the production by 50% which means the company is now producing 160 units a day which was only 110 in the previous year. The company has plans to export this model to foreign countries like Australia and other European countries which is possible in the year 2013. It is expected that this model will get a little pricier and the car will cost around Rs 11.15 lakh or a little more. So it just a matter of time when the booking for this model starts again and customers need to have a little more patience to get their hands on this power compact SUV. 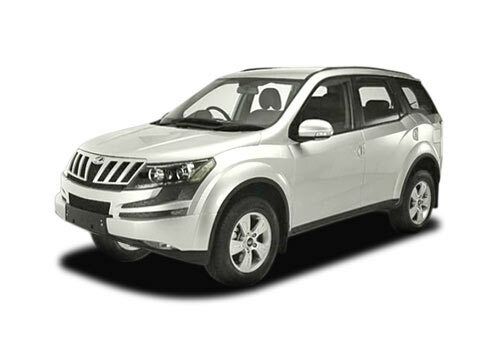 Mahindra recently launched it brand new Mahindra XUV 500 in the month of October last year. Since the day of its launch this car has been getting great amount of response from the customer. The condition was such the company had shutdown the bookings for a little while as the company couldn’t cope with such high demands of this product. This car has recorded around 8000 booking within a week from the day of its launch and the company was not prepared for such a response from the customers. This sudden high requirement by the customer has left a the company short of the available number and it is time that they plan to increase the number of units being produced as the demand for this vehicle is now increasing day by day. Mahindra XUV 500 picture says that in India Mahindra is really working hard to pump up the production of XUV 500 as the company plans to resume the booking of this compact SUV from the month of January 2012. The company has a well established setup in Chakan plant near Pune where the production of this car was taking place. It is expected that the company is working hard to increase the production by 50% which means the company is now producing 160 units a day which was only 110 in the previous year. The company has plans to export this model to foreign countries like Australia and other European countries which is possible in the year 2013. It is expected that this model will get a little pricier and the car will cost around Rs 11.15 lakh or a little more. So it just a matter of time when the booking for this model starts again and customers need to have a little more patience to get their hands on this power compact SUV.